Championship weekend is here. I have been delinquent with my NFL posts this season, but there is no time like the present, right! Anyway, in an effort to atone, I will share part of the story of a player from each team that remains. And I have some more lined up for the two teams that move on to the big game in a couple weeks. So let’s dig in. 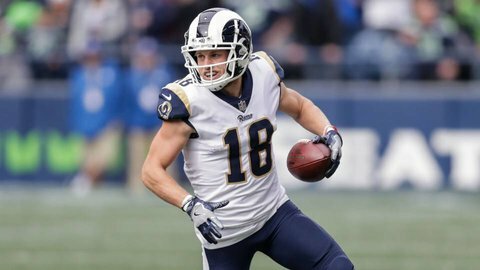 Los Angeles Rams – Cooper Kupp WR. Kupp has been part of their dynamic offense since the Rams drafted him in the third round in 2017. Injury has cut this year short. He is on IR after a knee injury in week 10 and will not play in the game this weekend. In the first half of the season, he averaged over 14 yards per catch and 6 touchdowns. Kupp is a third generation NFL player. His dad was a QB in the Early 90s and Cooper’s grandfather, Jake played in the NFL from 1964-1975 and was an original Saint (selected in the 1967 expansion draft). He is in the Saints Hall of Fame. Influence: My wife and I recently started a podcast about influence. We are reminded that influence happens naturally. We will all influence the people we are around. The question is will that influence be positive or negative. I really appreciate Cooper and Anna’s decision to be positive influencers on campus, even forgoing the NFL for a year to influence younger students at their college. It would have made sense to head to the NFL after his junior year, but after prayer and fasting, they chose instead to play one more year of college ball and intentionally use their influence to set younger students up for success. I’m challenged to remember to seek God’s leading instead of what may make the most sense to my selfish nature. I am a Saints fan, but I live in suburban Minneapolis and so when the Saints traded to secure Teddy Bridgewater as a backup quarterback, I was familiar with him. He was a first round pick by the Vikings in 2014, and took over as the starting quarterback early on in the 2014 season. In 2016, after a couple of decent seasons, great things were expected of him. Instead, a horrific knee injury at practice sidelined him for that season and much of the next one. There was some question about whether he would ever be able to play again. Why? – When bad things, or hard things happen in our life, it is always tempting to ask “Why?” and try to figure out if we are being punished for something we have done. But I love the story found in John 9 where the disciples ask Jesus who is responsible for a blind man’s blindness – him or his parents. Jesus replies in verse 3 “this happened so that the works of God might be displayed in him.” Sometimes hard things happen so that when God shows up and works it out our minds are completely blown away. That is what Teddy hints at when he tweets a year exactly after the injury, he is feeling grateful for God showing him why this happened. Let’s look for how God shows up in our hard times to celebrate that the Creator of all things is active in our life! What a joy that is! New England is playing in their 8th straight AFC championship game. They embody the very definition of the word “dynasty”. Dwayne Allen is in his second year with the Patriots. He has already been to one Super Bowl with them and is hoping to make it two in a row, this time with even better results. He also reached the playoffs twice in his time with the Colts who drafted him in the 3rd round of the 2012 draft. Allen has caught only 13 passes in his 2 seasons in New England, after scoring 19 TDs on 126 passes during his tenure with the Colts. But as you can see in the video below, Allen has more than stats in mind. He grew up in a tough situation.His mother had a string of abusive relationships that brought many challenges to the house. That resulted in a lot of anger in his life which on one hand, led him to football, but on the other hand, still had to be dealt with. Dealing with is led him to Jesus, who changed his life. These days, Allen, motivated by his hard upbringing, works with youth and advocates against domestic abuse. Trade – The video talks about trading anger for forgiveness and grace. A change in his life is what allowed him to work through the anger and on to something more productive. We can all learn this lesson too. We all have things that we are holding on to, things that can block us from letting the true light of God shine through us. I pray that we can identify those things and allow God to work them out in our lives. A few years back, I wrote a post on Dustin’s brother Britton who played at the time with the Denver Broncos. I wrote that post before the Super Bowl 38, which they lost. Britton would be a member of the Broncos team that won Super Bowl 50, so he did get his ring. And the Colquitt’s dad Craig won 2 Super Bowls as a punter with the Pittsburgh Steelers. Will this be Dustin’s year? Today will determine whether the Patriots or Chiefs move on to Super Bowl 53. Dustin was drafted by the Chiefs in the third round of the 2005 draft. He is now in his 14th season with Kansas City and has been named to 2 Pro Bowls in his career. He is the Chiefs nominee for the Walter Payton Man of the Year award this season. He is very active in the community representing Fuel Up to Play 60 and Team Smile as well as Fellowship of Christian Athletes and Athletes in Action. He and his brother and father have also started the First Family of Fourth Down Scholarship Fund at the University of Tennessee. Platform – A punter is not the most involved, active member of the team. As Dustin says, he only accounts for about 7 minutes of action each season. But he has used that role to gain a platform to make a difference in many different areas, from dental care and healthy eating to sharing his faith in God, Dustin shows the importance that God plays in his life but taking opportunities to share. What are the opportunities that we have to share God’s importance in our life? Are we making the most of those opportunities? Let’s step up!